The SNP has cemented control over Scotland’s four biggest cities, including emerging as the biggest party in Aberdeen in the council elections. As Scottish Labour continued to struggle, a Tory surge echoed last year’s Holyrood election result, more than doubling their vote share from council elections in 2012. And the Scottish Conservatives, who had already picked out three north-east target seats, have now set their sights on winning former First Minister Alex Salmond’s Gordon seat in next month’s Westminster election. A party source said council results within the Gordon constituency looked very positive for Conservative candidate Colin Clark. He said: “These council results shows Ruth Davidson is leading the fightback against the SNP. Conservative leader Ruth Davidson hailed a record 276 Tory councillors being elected across Scotland, including councillors in the Highlands and Western Isles for the first time this century. Ms Davidson said: “We have gained seats in councils all over Scotland today. “We are now in a position to lead Scotland’s fight back on June 8 in the general election too. But SNP leader Nicola Sturgeon said her party had emphatically beaten off the Tories in Scotland’s councils and stood as the last line of defence against Theresa May’s rule in Westminster. She said: “The SNP has won the election in Scotland and won it loud and clear. “Thanks to the support of people across the country, the SNP has secured the largest number of councillors, the highest share of the vote – with an increase on the last result in 2012 and is the largest party in the most council areas. 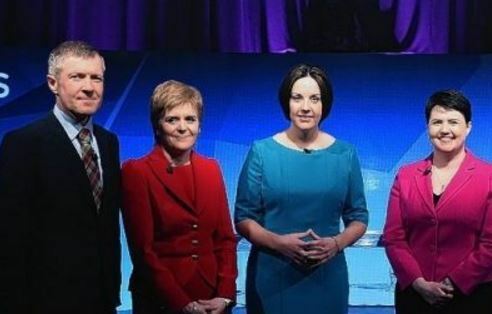 Scottish Labour leader Kezia Dugdale admitted the results were disappointing for her party but would not comment on losing control of Aberdeen City Council. North-east MSP Lewis Macdonald, Labour, said the fight was now on to stop the Conservatives leading the UK to a hard Brexit. He said: “There is so much at stake in the general election so we will be taking the fight to the Tories. Meanwhile, Scottish Liberal Democrat leader Willie Rennie said council results showed his party could stand against the SNP tide in key northern constituencies. He said: “These results show we are strongest in the areas where we are challenging the SNP at Westminster on June 8, including the Highlands and Argyll. And the Scottish Greens celebrated a record number of councillors being elected, including their first ever councillors in Orkney and the Highlands.